The holiday season is a popular time of year for adopting pets – with cats and dogs being firmly at the top of the list. It’s also a time for giving. Combine the two and you end up with many folks finding companion animals on their hearth decked out in big fancy bows! Should You Give the Gift of a Furry or Feathered Friend? Take Our Quiz! Q: Are you 100 percent certain that all people who will be directly involved with caring for the pet are in complete and total agreement with bringing this animal into their lives and home? Q: Is it clear which type of pet including species, breed (pure or mixed), gender, size and age the gift recipient wants? Q: Does the gift recipient live in a place that allows pets? This includes being aware of any county-specific breed restrictions. Q: Is the gift recipient physically capable of taking care of the specific animal you wish to give them? Q: Is the gift recipient financially able to care for this pet for the duration of the animal’s life? Q: Does the recipient’s schedule and lifestyle fit in with the species-specific traits of the animal you wish to give as a gift? If you’ve answered yes to these questions, then bravo! We’re happy to hear you know this potential pet parent quite well, and have thought things through, in terms of how a pet would fit into his or her current situation. However, we still encourage you to include your friend in the decision-making process. Surprises can be exciting, but they’ve also been know to backfire! If you’ve answered no to even one of these questions, then we suggest you discuss this thoughtful gesture first before giving a gift that keeps on giving. An option for becoming a full-fledged guardian to a pet is to become a foster parent first or spend time volunteering at local shelters in order to get to know different types of animals. You can also give your recipient books on the type of animal he or she is considering. Fact-finding and data retrieval can help shed light on a particular pet and its needs, as well as empower your intended to make an informed decision. All for One and One for All: All persons involved with direct ongoing care of a pet should be in complete agreement when bringing a new animal into a home, especially the adults. Sure, people can change their minds, but if someone holds any resentment, it can affect all relationships within the family dynamic. The Time Factor: Being a guardian to domesticated animals is a long-term commitment that shouldn’t be taken lightly. Many pets thrive on human companionship, dogs in particular. This means that schedules need to be open and flexible, especially after the newness wears off. But remember, training your dog can be done in just minutes a day on your own time and can be tons of fun! Financial Commitment: Many species live 10 years and beyond. Multiple the daily necessities by the number of years and it adds up. Some animals are very budget-friendly, and others not so much. You’ll want to write out an annual expense log of general costs to help determine the bigger picture for your gift recipient to care for the animal for its entire life and make sure it’s feasible. Home Environment: Are there any foreseeable life-changing events that your gift recipient might experience during the pet’s lifespan? Relocating, marriage, pregnancy, death, divorce and people moving in and out of the household can all have an impact on the emotional state of an animal. Physical Limitations: Depending on the species, age and temperament, some animals require more physical activity than mental activities, and vice-versa – and some require both to help fulfill their needs! Make sure your gift recipient’s lifestyle is a good match for the animal. Help your friend research the species needs and encourage him or her to find a pet with similar personality traits, including likes and dislikes in social settings and activities. We understand that giving or receiving a companion animal who provides unconditional love is something many would want; however, when it comes to giving someone else a pet as a present, it can be risky not just to the person who ends up being the animal’s caretaker, but to the animal as well. So before you start your search for the perfect set of paws or claws, we encourage you to take a few minutes to plan out your matchmaking strategies. 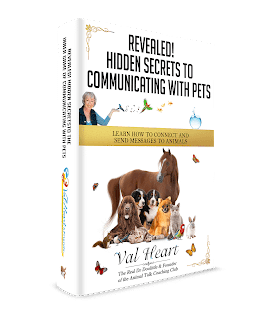 Joan is also the founder of the Inquisitive Canine and developer of the Out of the Box Dog Training Game , where her love-of-dog training approach highlights the importance of understanding canine behavior. If you or your dog have questions about behavior, training or life with each other, please email them directly.